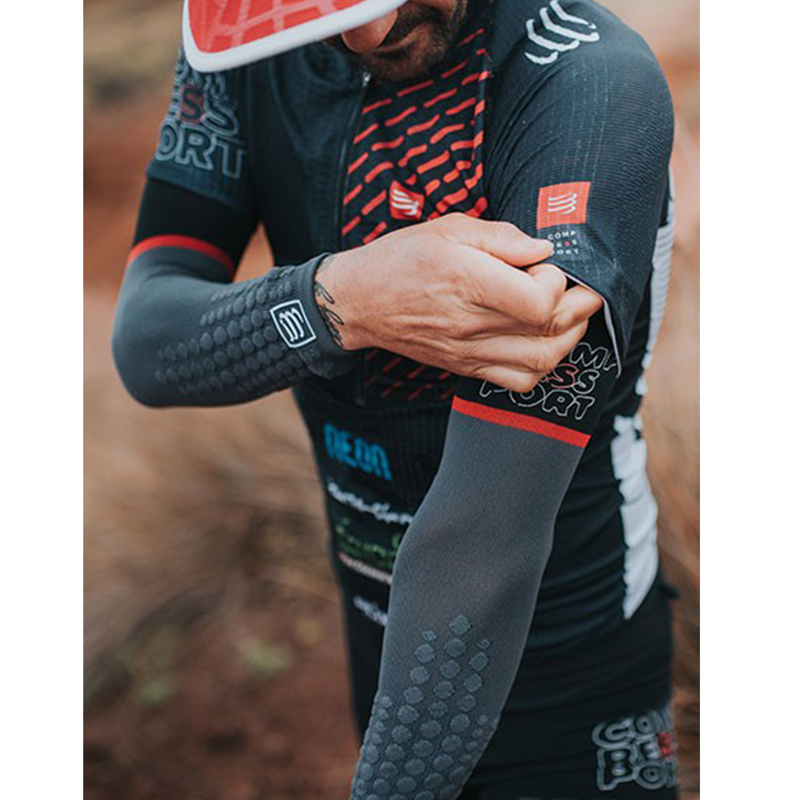 - Thanks to the latest generation compression tubes, these arm sleeves compress precisely like no other. - Strategic muscles, well upheld, get oxygenated easily and efficiently. - Arms are guarded against cramps and aches. - Post-effort, recovery is greatly eased. - Extra-soft fibres make these sleeves the softest of all! - They allow free movements. 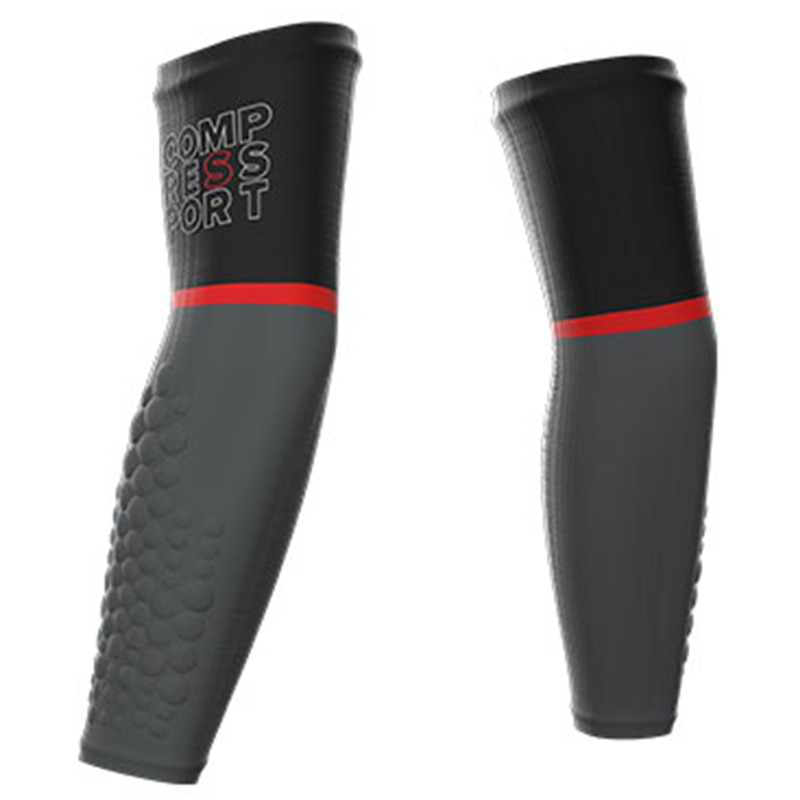 - The elbow area is extremely flexible, avoiding any discomfort. 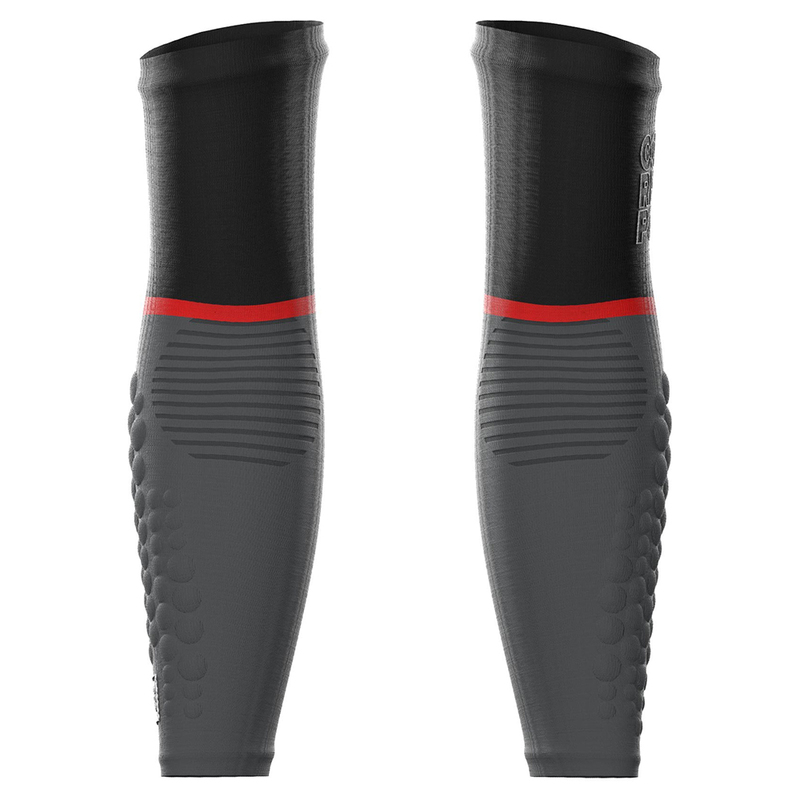 - Ergonomic, these ultralight sleeves stay in place till the end.